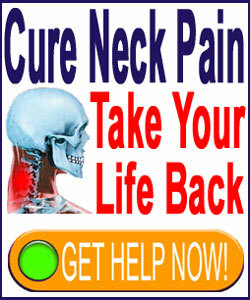 Neck pain when swallowing typically occurs directly over the vertebral column in the middle cervical spinal region. When discussing this symptom, we are not talking about throat pain of any kind or pain that is felt in the esophagus. Instead, we are discussing true neck pain in the dorsal anatomy that is caused by swallowing food, drink or simply saliva. Swallowing is something we must do countless times each day. When pain is elicited each time they swallow, patients find themselves in distressing positions with constant symptomatic activity. In most cases, patients will have neck pain that is ever-present, caused by movement or other activities besides swallowing. In essence, swallowing makes already present pain worse. Pain that is experienced only when swallowing is extremely rare. This treatise examines why swallowing can cause or exacerbate neck pain. We will detail the causes of swallowing-related neck pain, as well as provide some tips for relieving the symptoms. This particular symptomatic expression is described as pain that is elicited directly over the spine or to one or both sides of the spine in the dorsal neck region. As noted above, some patients confuse pain in the throat for true neck pain, but this type of pain certainly exists in the spine itself or in the supporting muscles of the spine. The most common location for pain to occur is between C4 and C6, directly in the apex of the cervical spinal curvature. The pain is generated quickly and for a very short duration immediately upon the swallowing contraction. Most patients describe this feeling as a squeezing pain in the spine itself. In virtually all cases, the patient will be experiencing general or specific location neck, neck and shoulder or neck and upper back pain when this swallowing-related symptomology occurs. Typically the patient is having an acute episode of pain that was brought on by known or idiopathic factors and then realizes that swallowing makes the pain worse. It is virtually unheard of for a person to demonstrate this swallowing-related pain if they are not having any other type of neck ache, although it still may occur in extremely uncommon circumstances. Muscular strain and injury can definitely create swallowing-related pain when the affected muscles interact with the muscles in the rear of the throat. It is common for patients with transient soft tissue pain syndromes in the neck to experience pain upon swallowing during the first few days after an acute injury or flare-up. Of all the swallowing-related neck pain conditions, muscular causation is certainly the most commonplace and innocuous. Anterior herniated discs might produce some pain if they extend far enough to influence the ability to swallow unimpeded or interact with muscular movement inherent to the swallowing action. Changes in cervical lordosis can bring the spinal structures into closer than normal proximity to the throat structures and might create difficulty in swallowing or painful swallowing. 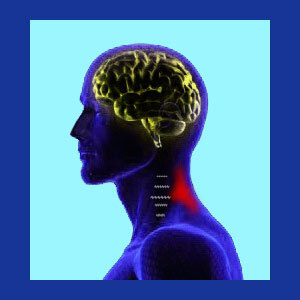 Existing pathological conditions in the neck might be aggravated by the swallowing movement. This can occur with certain types of central spinal stenosis or neuroforaminal stenosis when swallowing momentarily moves the spine from its typical position, potentially increasing pressure on neurological tissue. The majority of patients will experience worse pain when swallowing with their head extended backwards or downwards. If pain is worse in a particular position, try swallowing with your head in the opposite position for more comfort. Trial and error will provide clues on the most comfortable position for swallowing in each patient’s case. Some patients experience less swallowing-related pain when turning the head slightly to one side or the other. Once again, trial and error will provide evidence of any positional relief offered. Simply extending the duration of the swallowing contraction is helpful for some patients. Rather than forcibly trying to swallow as quickly as possible in order to minimize the duration of pain, try extending the swallow into a more gentle anatomical gesture. Do not attempt to swallow food or drink in an unnatural position just to avoid pain. Never eat or drink when reclining to avoid choking hazards. Swallowing smaller bites of food might help some patients, especially during the most acute phase of pain.